Guess what - more Groovy Shoes! And more Mark Schwartz-inspired technique. For this one, I needed my MISTI. Firstly I inked the shoe with coloured Distress Inks, stamped, spritzed lightly and once it was dry, inked the stamp with Black Soot, stamped and spritzed very lightly. 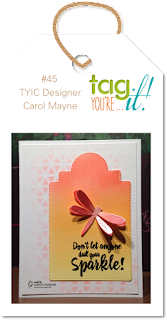 The dotty background is from the ARTplorations Dots All Over stencil to echo the pattern on the strip of washi, and the border is Tim Holtz Tissue Tape. Pop on over to the STAMPlorations blog for more fabulous inspiration, and don't forget to leave a comment there for a chance to win a gift voucher. Hi peeps! I'm delighted to be guest designer at CAS(E) This Sketch today! I stuck to Hannelie's sketch, honest - can you see the likeness? The balloon in the large top right quadrant, the sentiment bottom right, the bird bottom left with the hand-drawn string helping to define the quadrant, and white space top left. 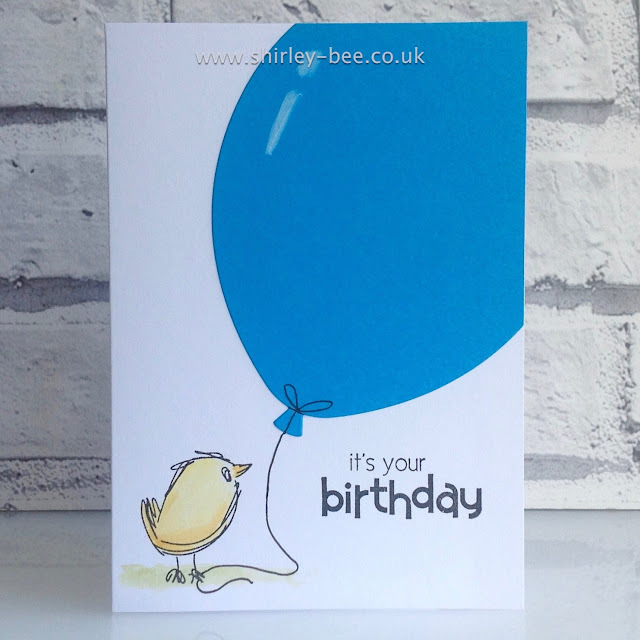 The balloon is a die-cut from MFT Die-Namics Balloon STAX, the bird is from The Bee's Knees SmallBirds, and the sentiment is from Penny Black Salutations. 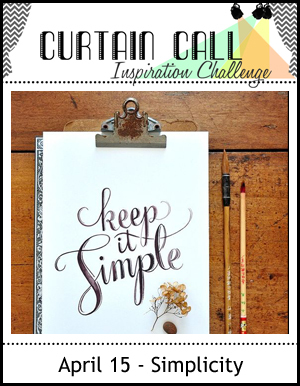 Pop on over to the CAS(E) This Sketch blog for some fabulous inspiration from the Design Team, and join in. 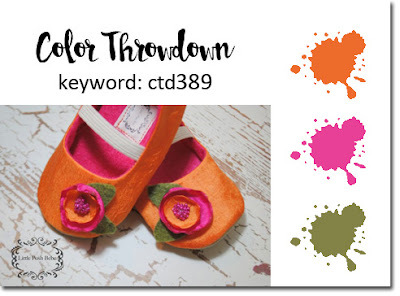 The Bee's Knees New Release - Groovy Shoes - and a Giveaway! Today's the Day! 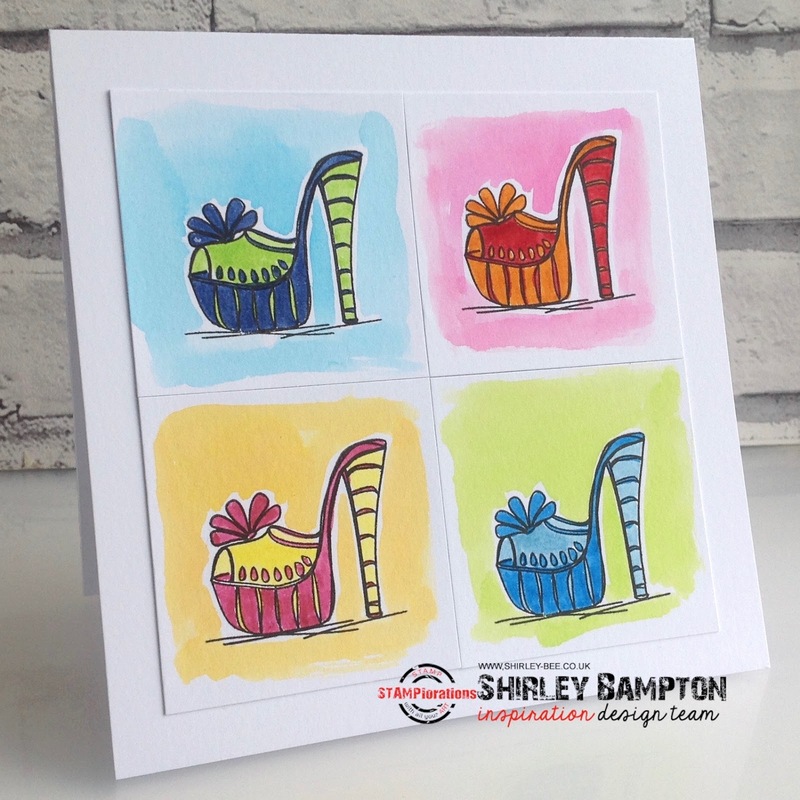 It's the launch of my latest stamp set, Groovy Shoes over at STAMPlorations. So retro - it takes me back! 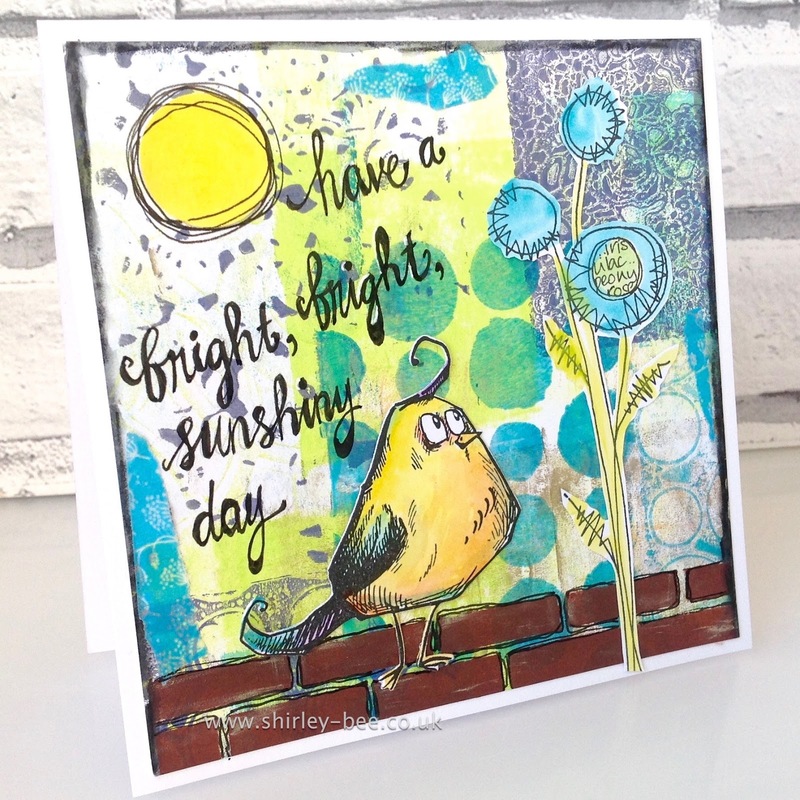 I've got a few cards for you today, I just couldn't stop playing with these stamps :) Sit back and enjoy the show! Anyway, my trews had to be floral, in keeping with the groovy flower-power theme. 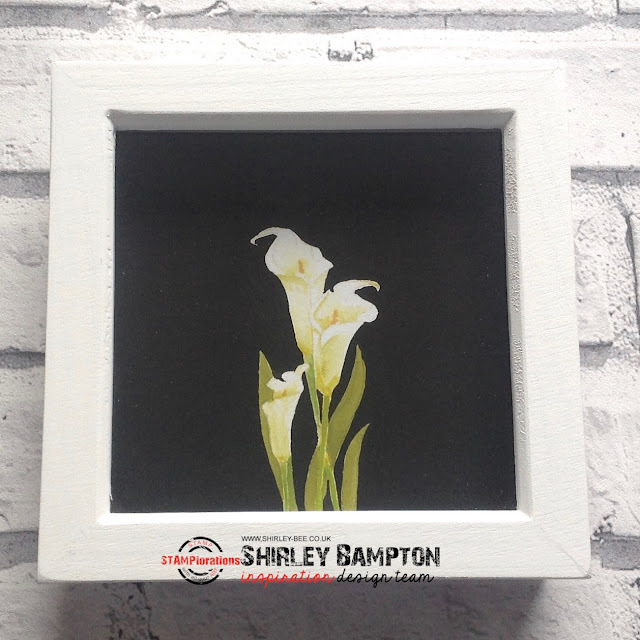 I cut a negative mask, stamped the flowers then painted the background with Distress Inks. Remember those Dr Scholl wooden exercise sandals? You could also buy clip-on flowers for them, that's why there are some flowers included in the set. 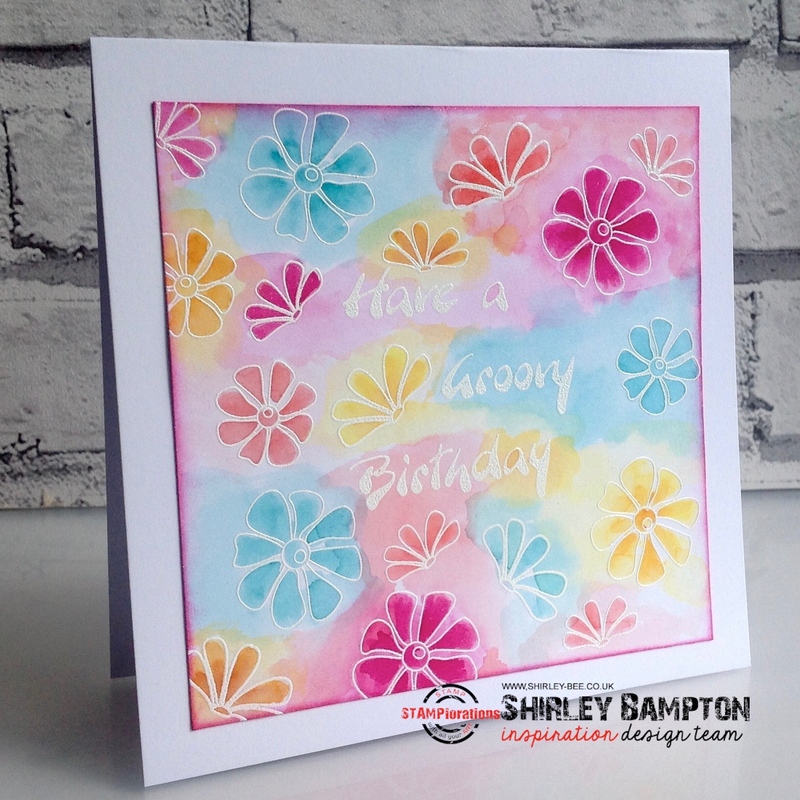 For this card I stamped and white-embossed the flower images, then sloshed some Distress Ink watercolours around, adding a bit more colour to the flowers to make them stand out. The panel is edged with Pickled Raspberry. And finally, a bit of fun. This one took on a life of its own. 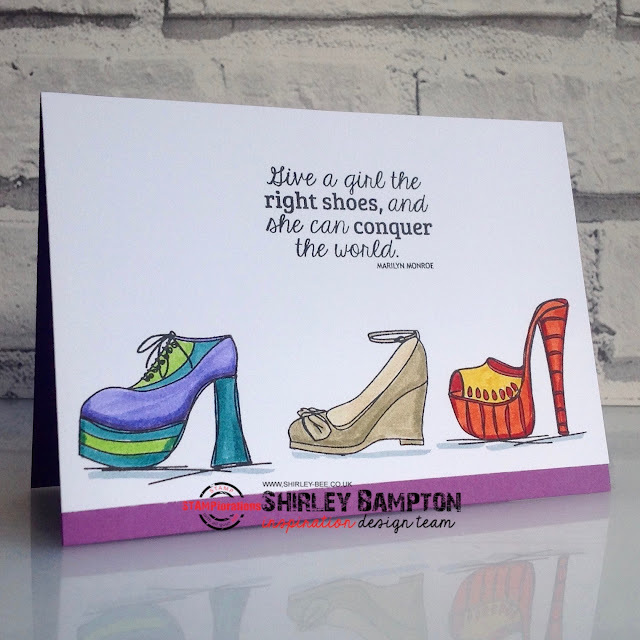 I'd stamped the shoes, then decided I should draw some legs. 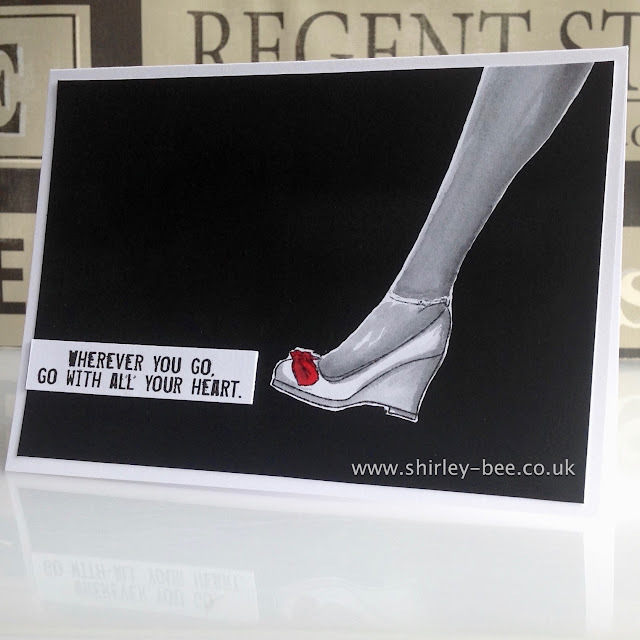 This was before I made my other 'leg' cards, and I hadn't thought about masking the far side of the shoes, so I just added some flower toppers then drew in a painted toe in each shoe. The sentiment is from Art Marks. Fancy your chances at winning this set? 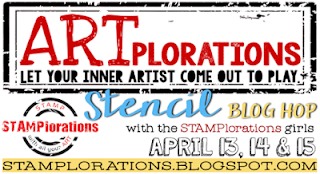 Leave me a comment here, and also on the STAMPlorations post, where you'll see the prizes on offer. Keep checking back on the STAMPlorations blog all week - Shery was showcasing her new stamp set yesterday, it's Deepti's turn tomorrow, Becca's on Thursday, then we're having a blog hop party on Friday - not to be missed! There'll be more inspiration from the four of us, and also from Cornelia, Maria, Monika, Kim and Vicki! 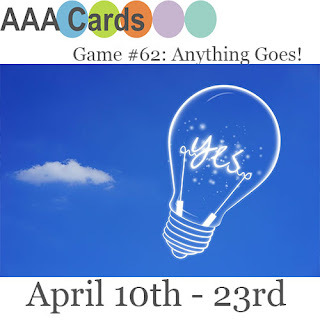 And more chances to win prizes! 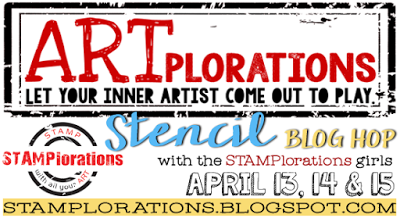 We've got some more inspiration for you over at STAMPlorations. 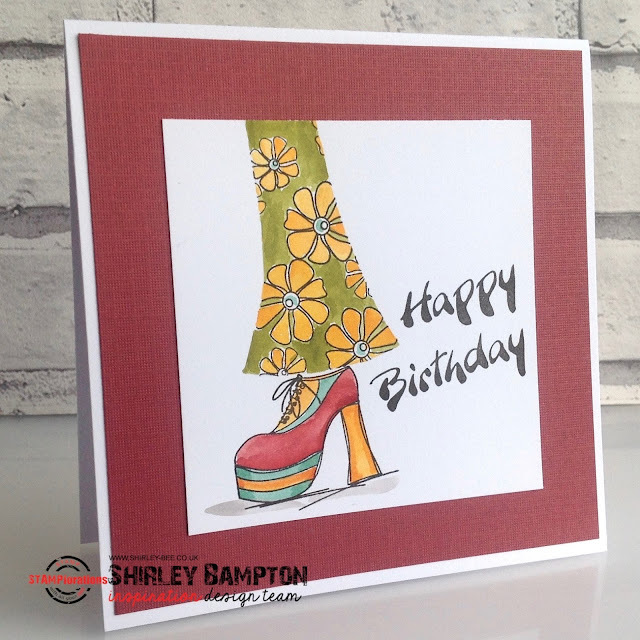 It's Stamp Release Week, starting with Shery's Trendy Feathers set yesterday, and if you pop back here in one hour's time, I'm showcasing my new set, Groovy Shoes. This card is a little taster for you. I've been fascinated with the artwork of Mark Schwartz, shoe designer and artist. I love the way he lets the lines and colours bleed. This is one of my many attempts at recreating the technique. 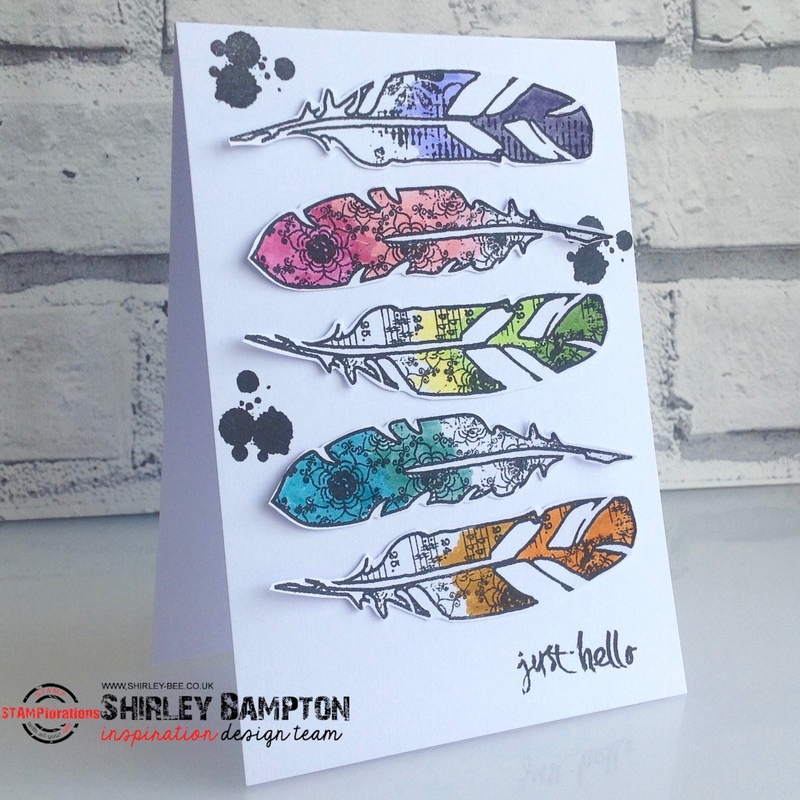 Pop on over to the STAMPlorations blog for some more fabulous inspiration, and don't forget to leave a comment there for a chance to win a gift voucher. Then pop back in an hour! Don't forget to pop back here in one hour for more Groovy Shoes! 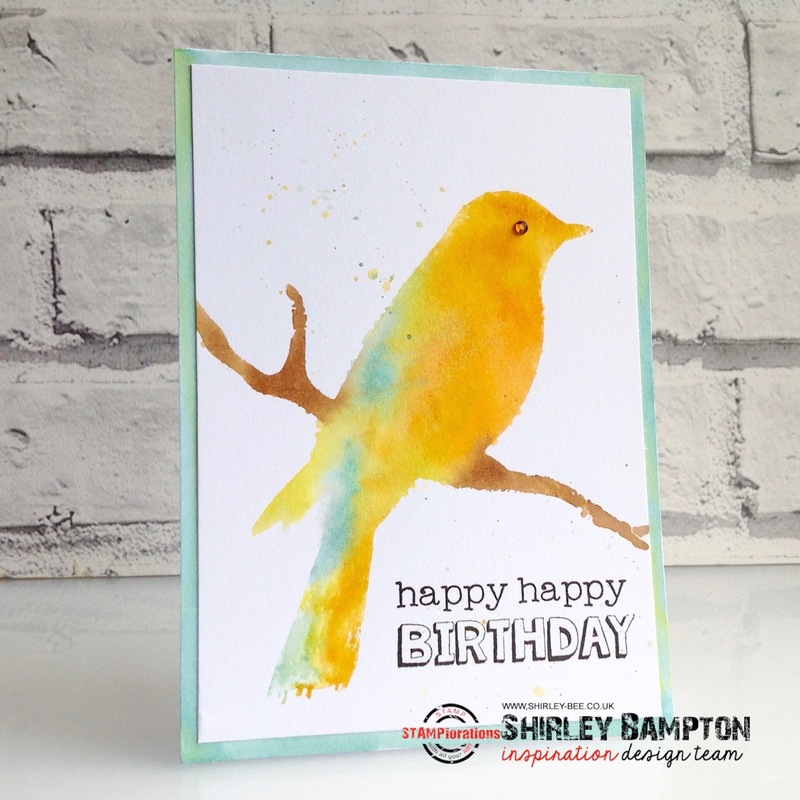 Online Card Classes have launched their new website, and I'm thrilled to have one of my cards from the Watercolour for Cardmakers class featured on their gallery page! You'll have to scroll all the way down the page to see - my card is bottom left. My original post is here. 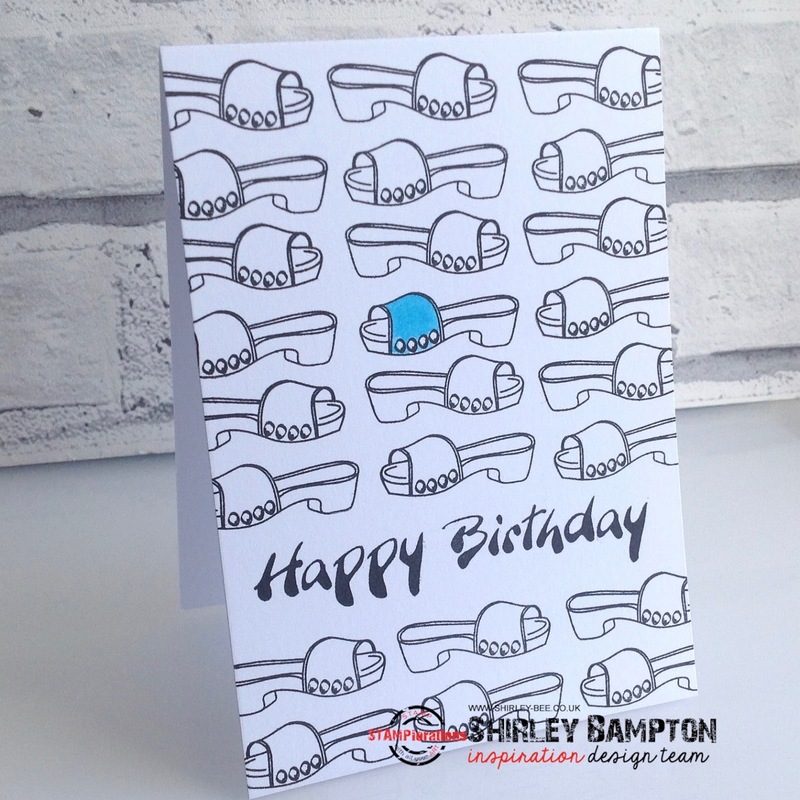 Bragging over, on to today's card. 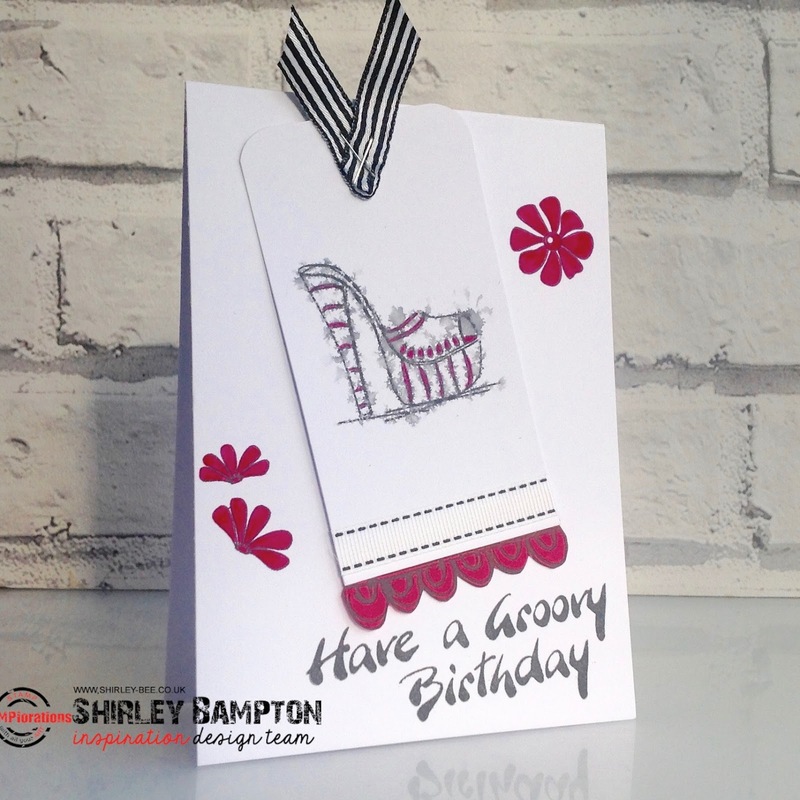 The lovely Bev from Happy Dance made a gorgeous card for three challenges, and it prompted me to make my own version. I am now the proud owner of some Altenew stamps, albeit freebies from a magazine. The set contains a three-part layered rose, a three-part layered leaf, a rose die, a leaf die and some sentiments. I stamped the middle rose and middle leaf stamps with Distress Inks (Pickled Raspberry, Carved Pumpkin, Peeled Paint) onto mixed media paper then spritzed lightly with water. The bleed varied depending on the amount of water I was spritzing. The birthday die-cut is a Winnie & Walter Cutaway, and the 'wishes' is from STAMPlorations Sentiment Builders: Love. Have you played along with The Mixed Media Card Challenge? There's still time, you know. 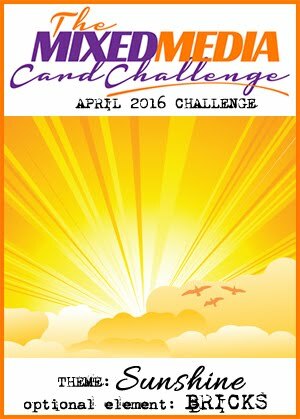 Our challenge this month is Sunshine with an option of bricks. 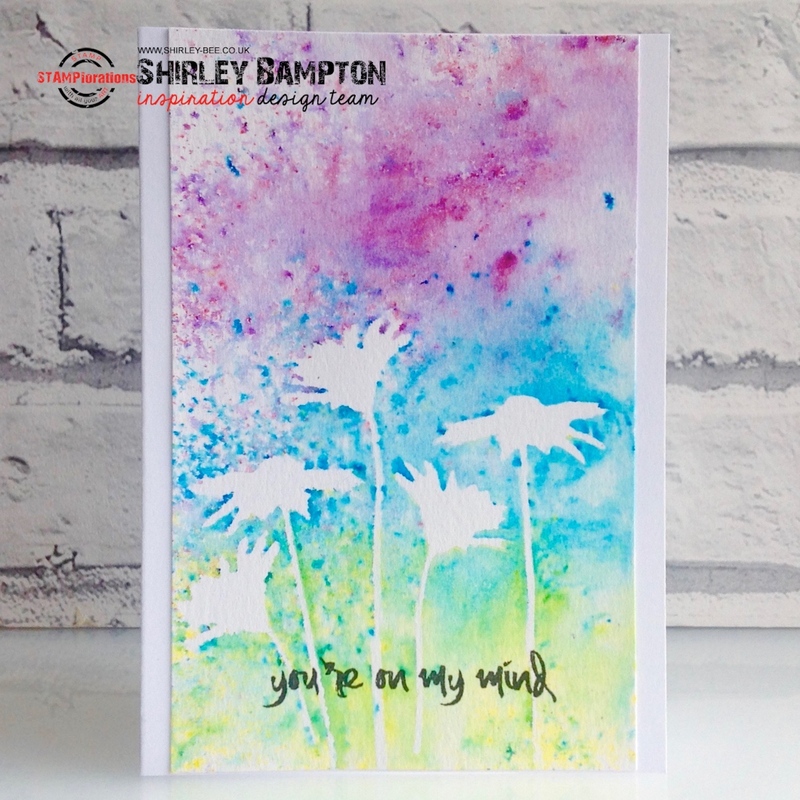 I started with an abstract gelli print background which was mainly in lime and teal with a touch of purple acrylic paints, then stencilled brickwork (Winnie & Walter) using Dylusions Melted Chocolate paint. The sun was created by twisting a mini blender and Dylusions Lemon Zest, then I scribbled around the sun and the bricks with a black fineliner. 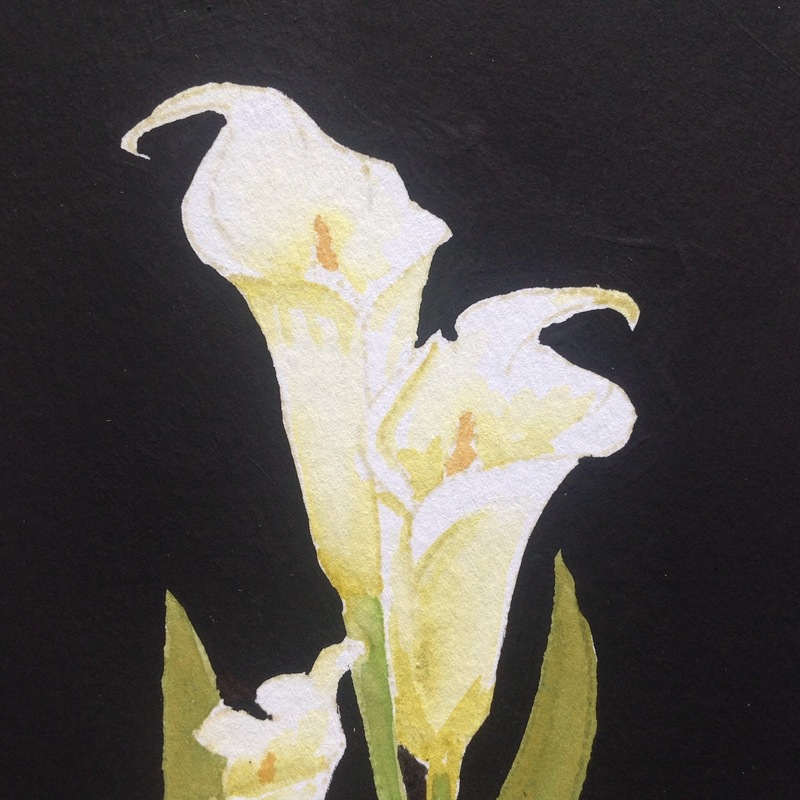 The JOFY flower was already coloured (probably with Distress Inks) and sitting waiting patiently in my stash for its moment of glory, but I think it's being outshone (geddit? sunshine?) by that crazy bird. I wrote the sentiment with black pen, then added some white highlights and went around the edges of the panel with black Neocolour II and a wet paintbrush. I added a couple of pieces of ripped washi tape to finish. 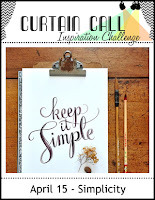 Pop on over to the Mixed Media Card Challenge blog for inspiration, and join in with our challenge, why don't you? 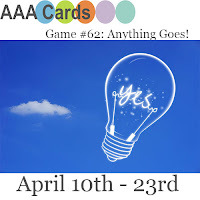 It's time for a new challenge at Seize The Birthday, and it's Anything Goes. 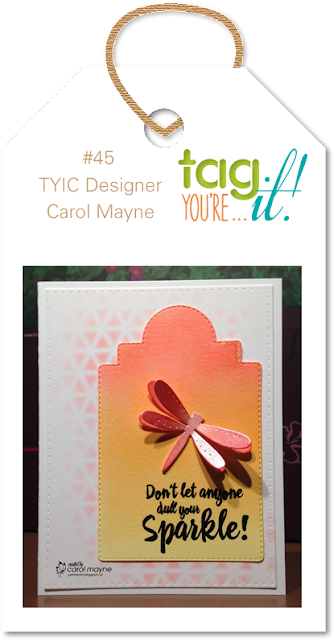 I used the ARTplorations Dots All Over stencil for the card base, and a stencilled Gelli print for the tag panel, part-edged by black card. The ballerina image (Stampingbella?) 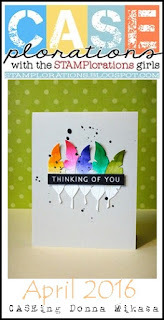 was coloured with Distress Inks, and the sentiment is from STAMPlorations Party Time. 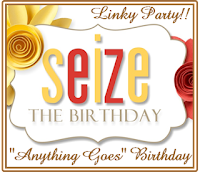 Pop on over to the Seize The Birthday blog for some more fabulous inspiration, and play along! Black sentiment on tag: check. 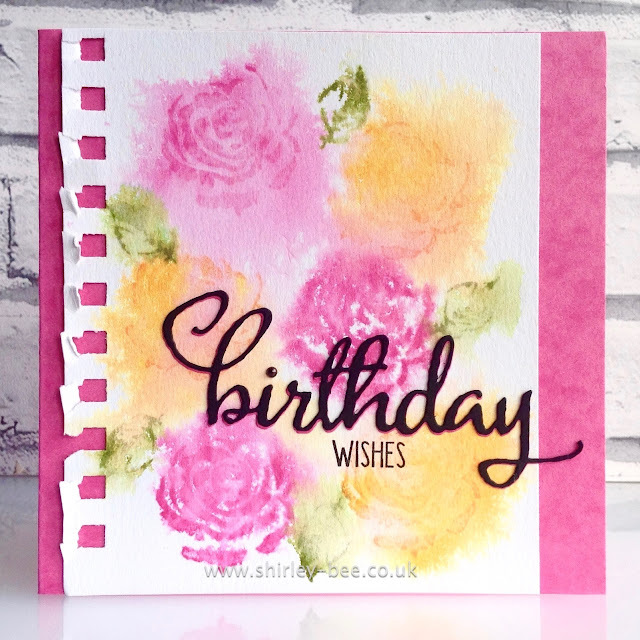 I've been playing around with the new Born To Roam set from STAMPlorations, pairing it with City Girl and World Birthday Cakes to make this card (full details over at STAMPlorations). I'm adding this to Simon Says Wednesday Challenge - Make It Girlie. Still playing with my Groovy Shoes set :) I don't recall having shoes like those on the left, but I had a pair of beige wedges, and I also had a pair similar to those on the right, in red. Got them on my first overseas holiday to Italy many moons ago. We've got some fabulous inspiration for you over at STAMPlorations today, and if you leave a comment on the STAMPlorations blog you'll be in with a chance of winning a $10 gift certificate. 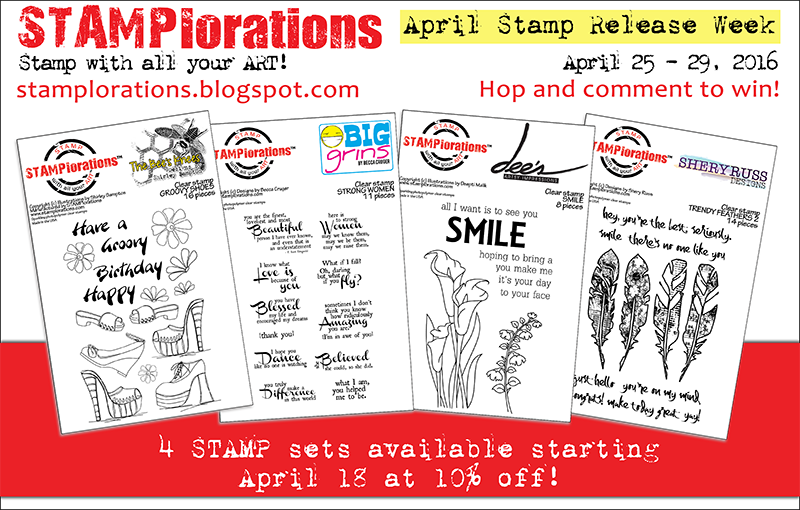 Welcome to Day 2 of the ARTplorations Blog Hop. Did you enjoy all that fabulous inspiration yesterday? We've got another feast for the eyes today. I've used the Dots All Over stencil on my background, inking it with Distress Inks, spritzing then laying the inked side down onto my card panel. Love that technique! I sponged the edges of the panel with Pickled Raspberry to define the edges. I stamped three flowers (Dee's Blooming Buds), sloshed on some colour then fussy cut them and arranged them on the card panel, cutting the stem of the back flower. 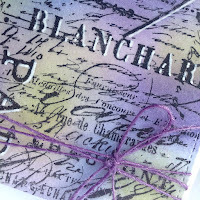 Wrapped a bit of purple jute around the panel, then adhered it all to the card base, and added a bit of dotty washi tape to echo the dotty stencil pattern. 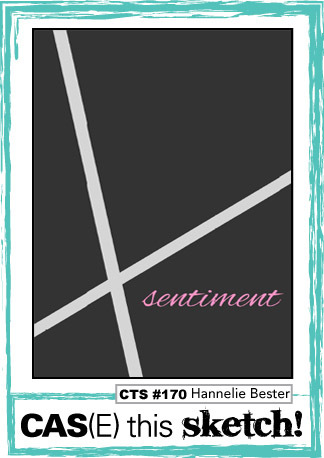 The sentiment is from Fond Expressions. 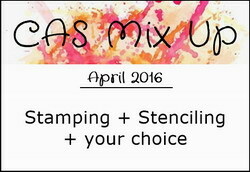 I'm adding this to Loll & Bonnie's CAS Mix Up - Stamps + Stencils + My Choice - watercolouring. 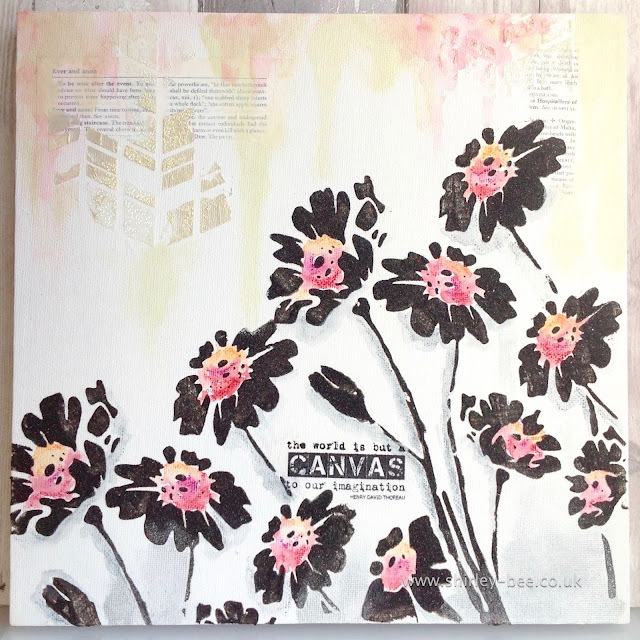 I glued a couple of pieces of dictionary paper on a 12-inch square canvas then covered it with white gesso. Once that was dry I stencilled a mix of gold pearl embossing paste and glass bead embossing paste through the Shutters stencil. When that had dried I stencilled Graphite texture paste through the Happy Flowers Large stencil. More waiting till that dried, then I got to work with the colouring. (You can see the sparkle of the Graphite texture paste in this close-up). I used red, orange and magenta Neocolour II crayons for the flower centres, grey for the shadows around the flowers and Antique Linen Distress Paint for the background. It's a few weeks since I made this, and I can't remember what the pink drips are - either Distress Paint or Neocolour II, daubed on then spritzed so that it dripped down. The sentiment (from Art Is) was stamped onto tissue paper then glued onto the canvas. Are you playing along at Craft Stamper Take It, Make It? 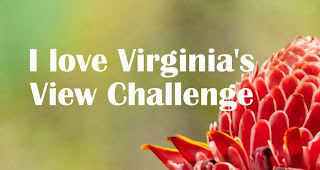 Our theme for this month is Spring Flowers. 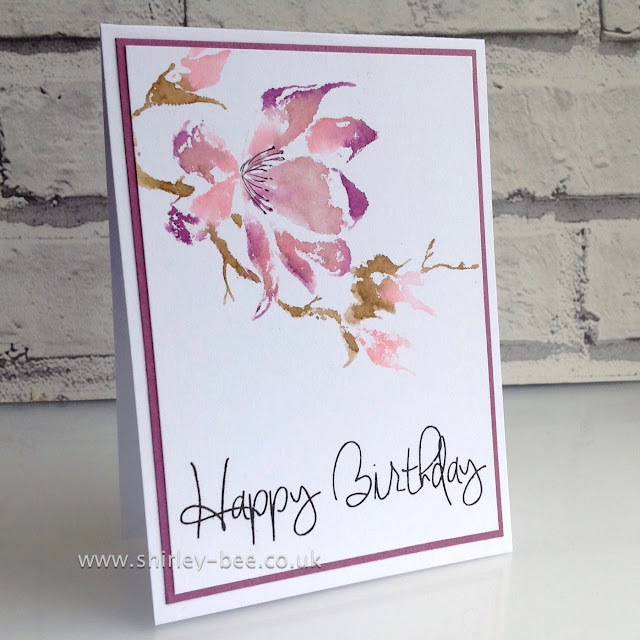 The flowers don't necessarily have to be stamped, as long as there's stamping on your project. 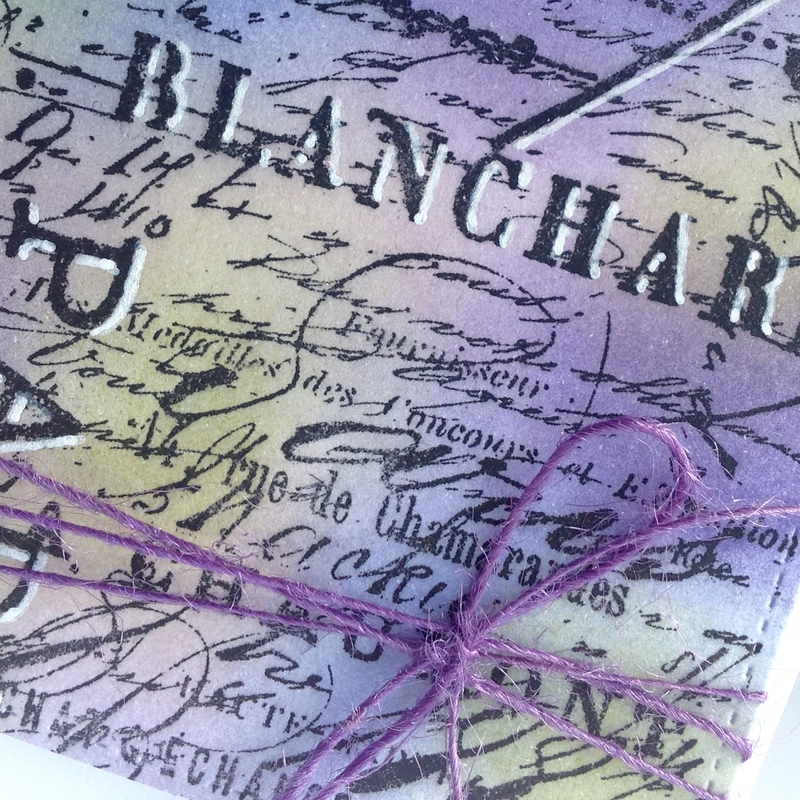 I had to have this gorgeous new Penny Black stamp, The Unfolding. Love it! 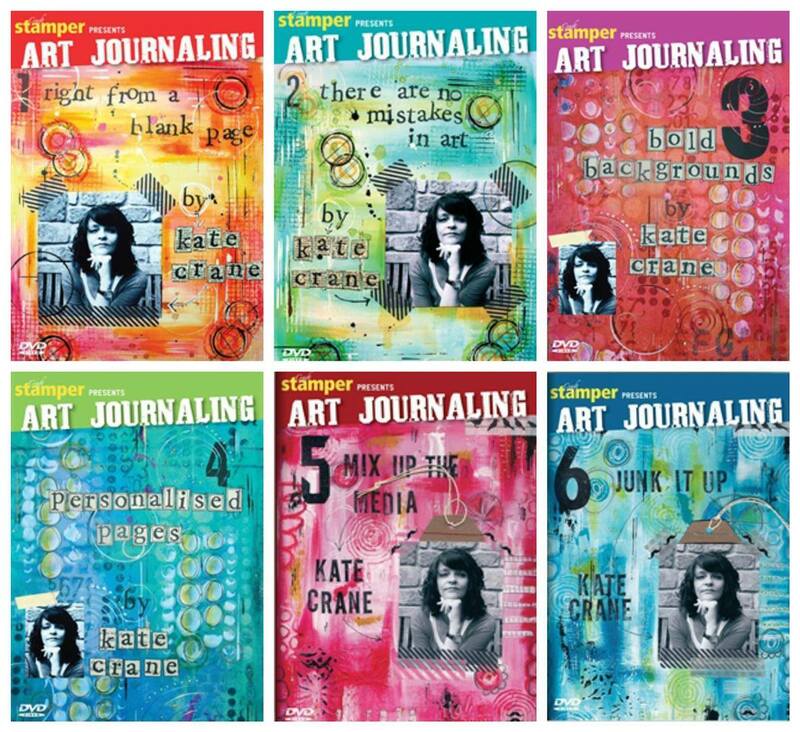 This month's sponsor is Traplet, the publishers of the fabulous Craft Stamper Magazine. 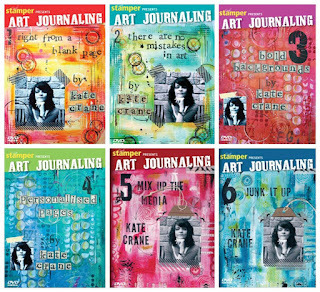 There's a fabulous prize on offer for one lucky entrant - all six of Kate Crane's Art Journalling DVDs! 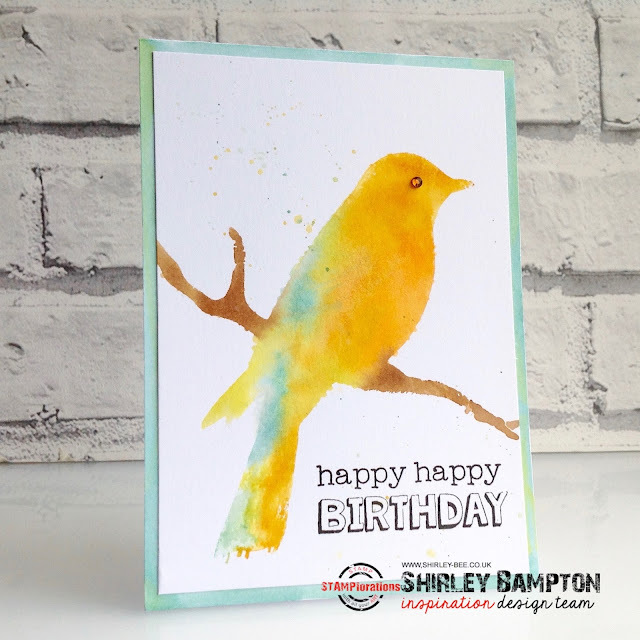 Then the winner chosen by the Design Team will have their winning entry published in Craft Stamper magazine, a winner's profile post on the blog, and a guest design spot in a future challenge - yay! 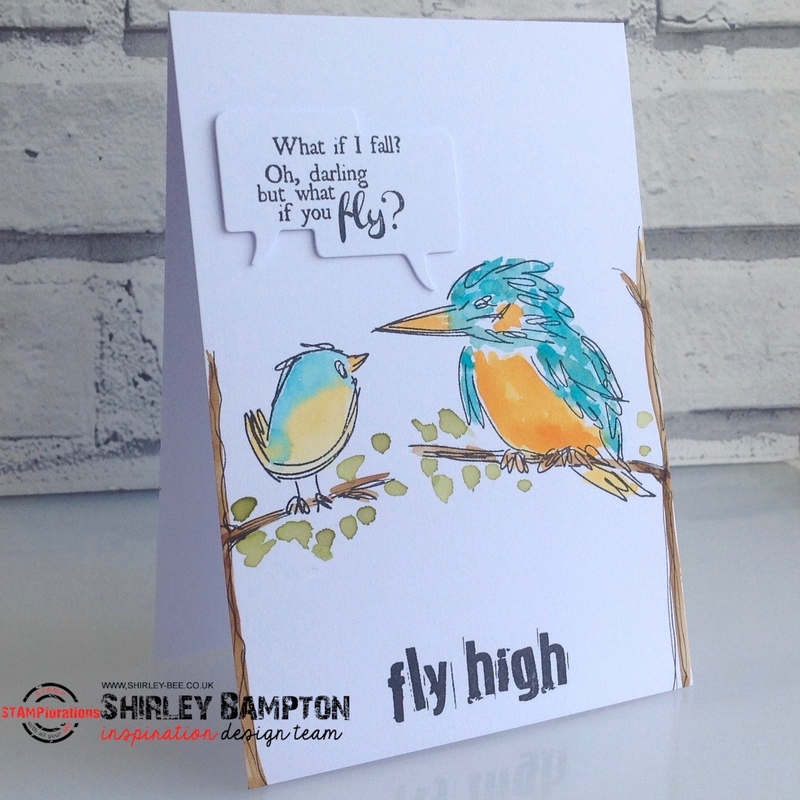 Pop on over to the Craft Stamper blog to see all the fabulous inspiration from the rest of the Design Team, and join in for your chance to win! 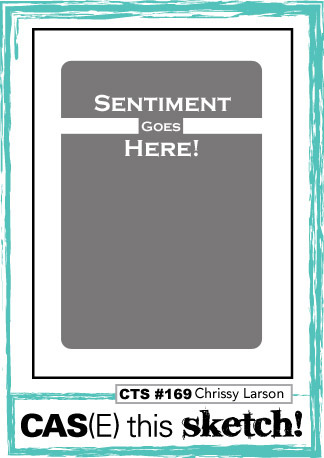 ETA: The sentiment stamp is by Stamps Away.